Desert Laminator for all your laminating needs. Desert Laminator is located in Alta Loma, California 35 miles east of Los Angeles. 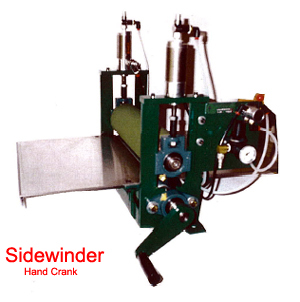 The company specializes in Laminators, both Hand Crank and Powered squeeze roll applicators. Incorporated in 1995, the company occupies a 4000 sq ft.bldg, to serve your laminating needs. 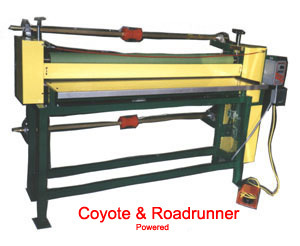 Desert Laminator is the manufacturer of the 'Sidewinder' hand crank squeeze roll applicator, and the Roadrunner and Coyote powered squeeze roll applicators. They are industrial quality, rugged, powder coated and superior strength machines to provide an inexpensive method of applying films, graphics, or sheeting to a variety of flat substratres. Service and parts provided for all laminating machines, including the Walco laminating products.